For those affected by trauma, and those who support them, Hagar is an expert in care and recovery. When healing happens the cycle of trauma stops. We are an international non-government organisation that works with women and children who are suffering from the impact of trauma resulting from human trafficking, slavery and abuse. Hagar International delivers programmes in Cambodia, Vietnam, Singapore and Afghanistan, and has support offices around the world. Our largest programme office is in Cambodia, where this position will be based. The Head of Global Programmes will lead on expanding the reach, quality and impact of our programmes globally. 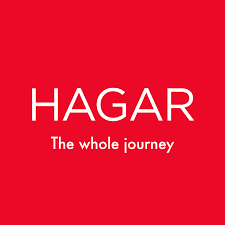 Reporting to the Hagar International Chief Executive Officer, you will sit on the Group Executive Team and play an active leadership role in a complex global organisation. You will set a strategic direction for the Global Programmes as well as play a role in informing and influencing the priorities of major donors. You will provide intellectual leadership, strategy development, planning and innovation across the countries in which Hagar International operates, and work with others to strengthen our capabilities. You will be an expert in trauma informed care and recovery with a passion for making a difference in the lives of some of the world’s most vulnerable women and children. The position requires a collaborative and impactful leader with a solid understanding of the current global trends in international development, trauma after-care, social change and experience developing and implementing programming and emergency responses globally. You will require strategic and change leadership; experience managing a complex, multicultural and geographically dispersed team; and have the ability to influence without imposing structural authority. In addition, you will have the personal presence, advocacy and influencing skills to inspire and engage with a wide range of stakeholders, with the proven ability to think and act strategically and mobilise support for Hagar’s vision of communities free and healed from the trauma of human trafficking, slavery and abuse. Click HERE for the Job Description outlining the job responsibilities and the key selection criteria to be addressed in your application. We are looking to progress this appointment as a matter of urgency and will review applications as they are received, so please submit your application promptly. Hagar International Foundation is an equal opportunity Organization. Women and Disabled people are strongly encouraged to apply. Kindly see the attachment for more details about this job.